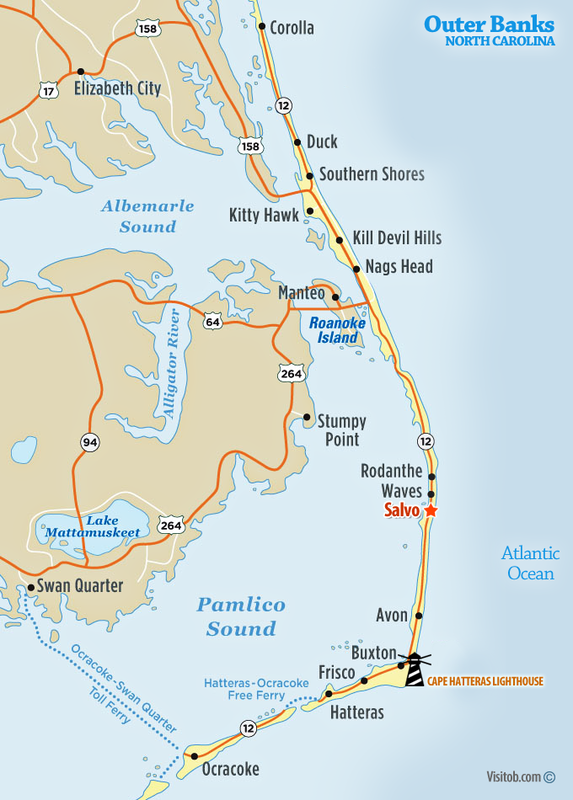 Salvo is part of a cluster of villages located on Hatteras Island, North Carolina. 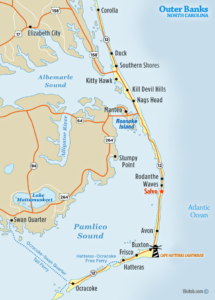 Salvo is surrounded by the Cape Hatteras National Seashore, which stretches over 70 miles. Access to the sound is terrific for kiteboarding and windsurfing fanatics. Touring the lighthouses, camping, exploring, sightseeing, and spending day at beach are popular activities. Salvo, NC and the nearby villages Waves and Rodanthe are scattered with oceanfront and soundfront vacation rental options. Rental companies are experts in planning the ultimate vacation experience. Remember to start your vacation search early, popular oceanfront homes book fast. 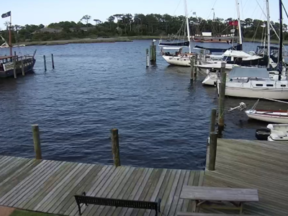 Search for a vacation rental near Salvo, NC. Find the best attractions and activities on Hatteras Island. Use our list of 25 fun things to do to help get your vacation started. From upscale coastal cuisine to the best-kept secrets where locals eat, you’ll be sure to find a restaurant on Hatteras Island to enjoy. 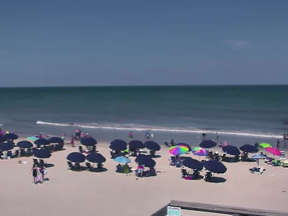 Hatteras Island sits nearly 40 miles off the mainland, therefore the winds are a little stronger and with the proximity to the gulf stream, the ocean temperatures tend to be slightly warmer. The summer temperatures are hot but tempered by ocean breeze, and the evenings are comfortable. 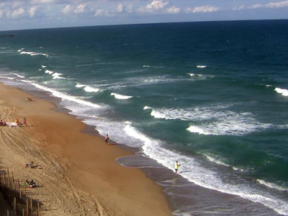 Check the live radar and weather forecasts for Hatteras Island, NC to help plan your activities for the day. Many of the stores and businesses located in Salvo, NC are family-owned. You’ll find motels, campgrounds, restaurants, local markets that offer fresh local seafood, tackle shops, beach supply stores. Most of these seasonal businesses close during the winter months and reopen in the Spring. The beaches on Hatteras Island rank among the top beaches in the U.S. for beach conditions, sand softness, cleanliness, views and access, wind speeds. For more than than 25 years, Dr. Beach (Stephen Leatherman) has reviewed, evaluated and rated beaches and coastal areas throughout the world.